In a probate court, a decedent’s will is either authenticated or it is declared invalid. The probate process involves the distribution of the estate to the decedent’s beneficiaries and creditors. There is a “pecking order” as to who gets what from the estate. These actions are facilitated by the executor of the will and by a probate lawyer serving The Woodlands. You can learn more about the probate process by watching this brief video. This legal professional explains that the probate process may sometimes take longer than a few months if the will is contested or there are multiple claims against the estate. Because of the complexities of estate matters, it’s advisable to seek the guidance of a probate lawyer. A probate lawyer’s advice can prove invaluable, especially in cases in which the will is contested. When an executor probates a will in Houston, part of the probate process involves the authentication of the will. In many cases, the will is authenticated without a problem. Occasionally, a party in interest will challenge a will. The act of contesting a will means that one or more individuals have reason to believe that the will is invalid. Where such contested probate litigation is successful, the result may be a change in the distribution of the decedent’s estate. Many people choose to create numerous wills throughout their lifetime to reflect their changing life circumstances. In most cases, the most recently drafted will is considered to be the Decedent’s true last will and testament. If the most recent will fails to comport with the requirements for a valid will, then the executor may have to revert to the second most recent will. A will may fail to be authenticated, or admitted to probate, because it was not created in a legally acceptable form; it was not witnessed properly; or the decedent did not have the mental capacity to understand the provisions of the will at the time of its creation. Many people involved with an estate go through the probate process without the need to secure a probate bond . If a family in The Woodlands does need a probate bond, then the probate lawyer can provide legal guidance in this area. A probate bond, also referred to as a fiduciary bond, and is simply a way to protect the estate from fraudulent or incompetent acts. When a probate bond is required, the executor of the estate must post the bond. The executor is the person responsible for identifying the beneficiaries, satisfying any claims against the estate, and distributing the estate in accordance with the decedent’s will. Unfortunately, it is not unheard of for executors to engage in fraudulent acts for their own gain or simply to manager or administer the estate in an incompetent fashion. Probate bonds therefore provide an added measure of protection for the estate and the beneficiaries. Probate bonds are not always necessary, but executors may be required to post them when the estate is affected by unsecured debts. By posting a fiduciary bond, the executor is ensuring that these unsecured debts will be satisfied from the assets of the estate. If the will has not designated a specific executor, then a probate bond may be required in order to protect the beneficiaries. In some cases, the will may specify that the executor is required to post a bond. In other cases, the court may require that the executor post a bond. This may occur in cases when the estate involves substantial assets. Lastly, a probate bond may be required if one or more of the heirs named in the will refuse to provide consent to waive the bond requirement. The fiduciary duty of the executor is to the beneficiaries. Subject to the probate court’s supervision, the executor is responsible for keeping the assets of the estate completely separate from his or her own assets. The executor must keep careful, accurate records of all matters pertaining to the assets of the estate. Those records must be made available to the beneficiaries upon request. If the executor carries out his or her fiduciary duties competently and does not engage in fraudulent acts, then the amount of the probate bond will be returned to him or her when the estate is settled. The act of contesting a will in The Woodlands is often seen in an unfavorable light. Opinionated individuals may feel that contesting a will is disrespectful to the decedent, or is, perhaps, little more than an attempt to obtain more financial assets. In fact, estate law does allow legal grounds for challenging a will, with good reason. People who are elderly, in poor health, or otherwise vulnerable may be taken advantage of by non-family caregivers or other individuals. So when a will truly isn’t valid, then the rightful beneficiaries may not receive the inheritance that the decedent desired. If you suspect that your loved one’s will is invalid, it’s always in your best interests to consult an estate lawyer right away. There are certain time limits to contesting a will. 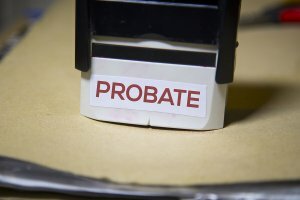 If you know that you are an heir, the deadline is two years from the date that the will was admitted to probate. If you didn’t know that you are an heir, such as if you’ve only recently discovered your birth parents, you have four years to file a challenge from the date at which the estate was closed. Minors must file a challenge within two years from the date of their majority. One of the grounds for challenging the validity of a will is that the document was improperly executed. For example, if it is a holographic will, it might not have been written entirely in the decedent’s handwriting. If it is an attested will, it might not have been signed by the necessary witnesses, or that the witnesses were disqualified by law from acting as witnesses. Wills are intended to carry out the wishes of the decedent after his or her death, but sometimes they can be unduly influenced by other parties. Your attorney may argue that the will is invalid because another person used his or her influence to undermine or overpower the decedent at the time that he or she signed the will. In order for a will to be valid, the testator must be of sound mind at the time of the signing. Your attorney may use medical records and other types of evidence to argue that the decedent was mentally incapable of understanding the effect of the will, the extent of the property, and other aspects of will creation. The probate process is perhaps among the least understood aspects of estate planning. It can be complex and it may be a prolonged matter that takes months to complete. However, the steps of the process can actually be clearly defined. When you hire a probate lawyer serving The Woodlands, he or she will explain the probate process to you and answer any questions you may still have. The first step in the probate process is to file a petition in probate court and provide notice to the heirs. 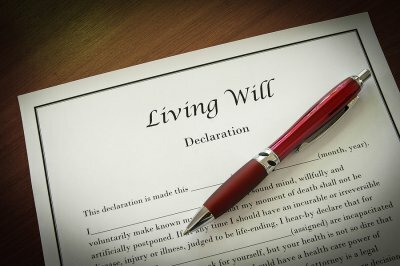 If the individual died with a will, then the petition will seek to admit the will to probate and appoint the executor. If the individual died intestate, the petition will seek to appoint an administrator for the estate. All of the heirs and beneficiaries will be provided with notice and a notice about the probate hearing will usually be published in the local newspaper. This allows beneficiaries to voice objections in court. Once the executor is appointed by the court, he or she must notify all creditors of the estate. Creditors must make a claim within a certain period of time. Then, the executor will take an inventory of the estate property. 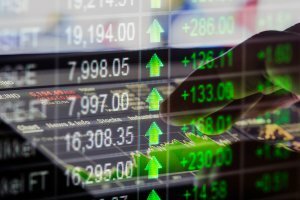 The inventory includes real property, stocks, business interests, and other assets. The estate may need to hire an independent appraiser to assess the value of non-cash assets. The next step in the probate process is to pay claims. The executor will determine which claims against the estate are legitimate. Those will be paid and other expenses, such as funeral expenses, will be paid. 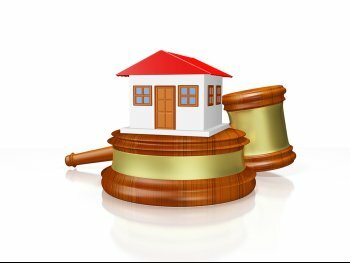 It may be permitted to sell estate assets if this is necessary to pay these obligations. Once all legitimate claims have been satisfied and the waiting period to file claims has expired, the executor will ask the court for the authority to transfer the remaining assets. If the individual died with a will, the assets will be transferred in accordance with those specifications. If the individual died intestate, the assets will be transferred in accordance with the state intestate succession laws. When an individual goes to a probate lawyer to have a will drafted, the document will almost certainly waive the requirement of a probate bond . But in some cases, it is a requirement to obtain a probate bond in The Woodlands unless your probate lawyer successfully argues against it. When a probate bond is issued, its purpose is to offer protection to the heirs and creditors of the decedent specifically from the negligent or intentionally wrongful acts of the executor or administrator. For example, an executor might decide to retain all of the funds in an estate for him- or herself instead of distributing them among the creditors and other heirs. The existence of a probate bond allows the creditors and heirs to recover the amounts they are entitled to despite this act of malfeasance. Although a probate bond seems to be desirable, in most situations it actually creates more problems than it solves. This is because obtaining a substantial probate bond can be costly and not everyone will be qualified to do so. The funds from the estate cannot be used to pay for the probate bond simply because these funds are inaccessible until the bond is already obtained. 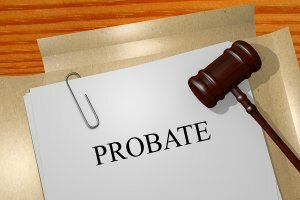 The probate process in The Woodlands is complex. It’s best to hire a probate lawyer to handle these complicated matters for your family. Taking a few minutes to prepare will help you get the most out of your meeting with the probate lawyer . For example, consider your answers to the following questions discussed in this featured video. This legal professional suggests that your probate lawyer will ask you exactly which services you need him or her to perform. A probate attorney can prepare wills and living wills, revoke previous wills or trusts, and handle contested wills. You should also consider what your role in this matter is. For example, are you the executor or an heir? It’s also a good idea to prepare a list of questions you want to ask the attorney during your meeting. Your family may want to speak with a probate attorney in The Woodlands after the passing of a loved one . A probate lawyer handles the administrative process of settling the decedent’s affairs. It’s commonly thought that probate is a lengthy and arduous process, but in fact, probate lawyers commonly succeed int making the process relatively easy for the surviving family members. You can watch this video to hear a little more about what a probate attorney can do for your family. This legal professional explains that the probate lawyer may pay the decedent’s debts and taxes from his or her estate, take an inventory of the assets, and oversee the distribution of assets to the beneficiaries. 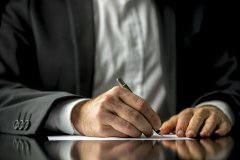 Probate attorneys can also handle disputes among heirs regarding inherited property. After your passing, your assets will be distributed through a process called probate. A probate lawyer can file the necessary paperwork and make court appearances for your family. If you had your probate lawyer create a will and trust for your estate in Conroe, TX, then the probate process is fairly straightforward. Provided that your will is legally valid, your assets should be efficiently distributed in accordance with your wishes. As the expert in this video explains, wills and trusts can help prevent potential probate problems. Without a valid will, your surviving family members may argue over your assets, which can delay probate, increase costs, and adversely affect familial relationships.